Victor Casanova's cozy new restaurant on West Third shows what being in the right places at the right times has done for his culinary skill. 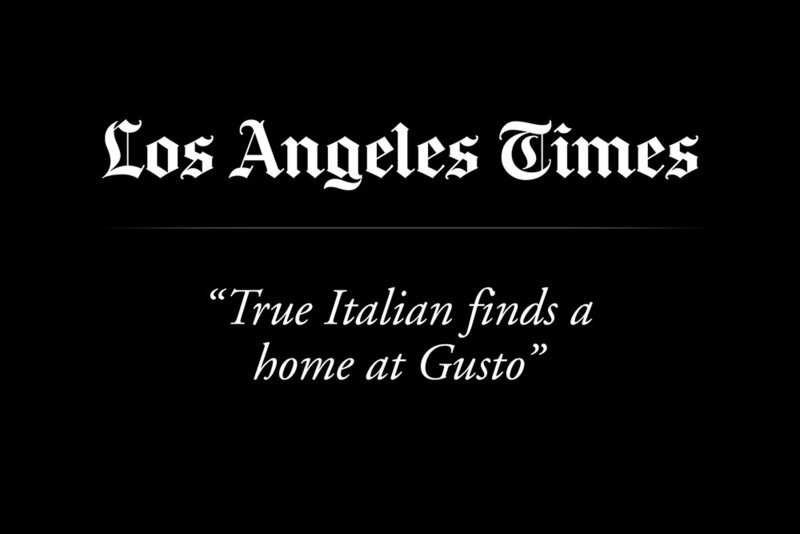 It's some of the best Italian cooking in L.A. in a long time. Sunday night on Iron Chef America, Victor Casanova challenged Iron Chef Geoffrey Zakarian in battle brook trout. This was Zakarian's debut after winning season four of the Next Iron Chef. The judges were PR person Karine Bakhoum, chef Art Smith, and real houseperson Jill Zarin. Victor Casanova has fallen upwards. Two years ago, the very posh ristorante moderna Culina at the Four Seasons Beverly Hills, where he was a celebrated star chef, made this list. Now at his own little trattoria on the very unposh West Third Street, the Bronx-born Casanova, thirty-six, has gone back to his roots, with authoritative renderings of Neapolitan pork braciola with a wine-dark rag — and bitter Swiss chard. 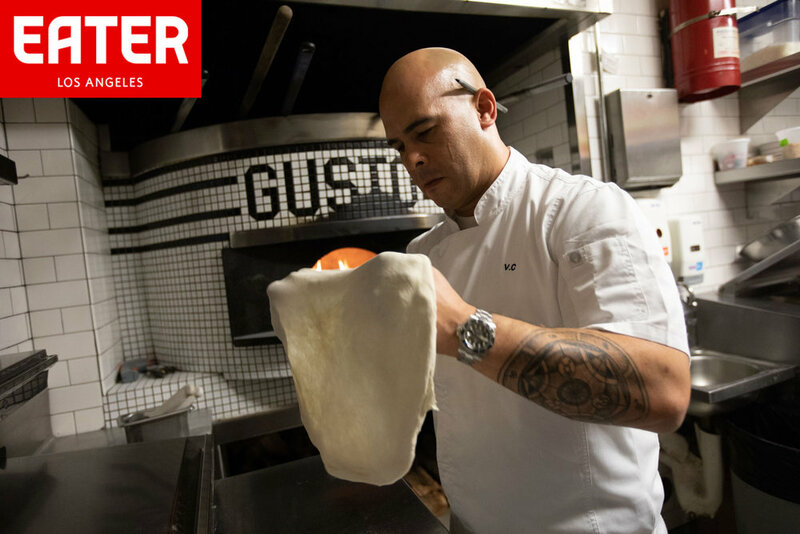 He stuffs sweet peas, ricotta, and mint into sheer ravioli dressed with nothing more than lemon butter, and he spreads fresh beech mushrooms, rich besciamella, soft-centered burrata cheese, smoky bacon, and a dash of thyme on his excellent pizzas. It's meatball madness with chef Vic Casanova of Gusto, who has a recipe for meatballs "that taste like heaven."